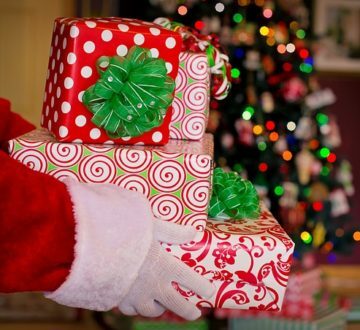 Home > Blog > Was Your Child Hurt by Hazardous Holiday Gifts? Parents may be able to recover compensation when a child is injured because of a dangerous toy or other hazardous gifts. The Consumer Product Safety Act of 2008 holds manufacturers accountable for selling products that cause preventable injuries to children. According to the Consumer Product Safety Commission, 240,000 toy-related injuries occurred in the United States in 2016 requiring emergency care. Tragically, 35 children died between 2014 and 2016 from toy-related incidents. Despite increased product-safety oversight, the same toy dangers keep popping up each year. These include products with small parts and other choking hazards, toxic substances, fire risks, and mechanical hazards that can injure children. When a product is found to be unsafe, a recall is issued. During 2017 there were 28 toy recalls issued in the United States. Since January 2017, 3.5 units of dangerous toys were recalled in the United States and Canada. Parents can keep track of the latest product recalls by signing up for email notifications from Safe Kids Worldwide. Parents are at a disadvantage when purchasing toys online. They are unable to touch or physically inspect a toy for obvious signs of hazards. Online sales could also be a second-hand market of toys that have already been recalled for dangerous defects. Power Rangers Super Ninja Steel Superstar Blade. While made of plastic, this sword can cause facial and other impact injuries. Marvel Black Panther Slaw Claw. While the package warns not to “hit or swing at people,” the rigid plastic claws are dangerous. Nerf Vortex VTX Praxis Blaster. The flying disks could cause eye and facial injuries when launched.